What does something have to do with anything? Everything! This series of my “Thoughts” has a very simple premise, hopefully written in a very clear manner; to help the reader gain a deeper appreciation for design in general. I feel that if we look at design in a holistic way, it not only begins to make sense, but also engages people to understand how design plays a role in their own lives. Seeing how the world functions around them–from the very mundane to the exceptionally profound–might help the average person enrich their own experiences in new and meaningful ways. So what is design? From the simplest tools to the most complex global systems that the 21st Century demands, design is both the process and execution of everything that we humans have ever created. Design is functional, but it can also be beautiful. Design can be simple, yet it can be extremely complex. Design can be artistic and emotional, but it can also be scientific and analytical. Design can be all of these contradictory statements. This makes it nearly impossible for everyone to agree upon a universal definition. Let us take a step back and put things into context. The history of mankind is the history of design. Humans, like most living things on Earth, have basic physiological requirements for survival. Air, water and food allow us to literally continue breathing. However, we are all too familiar with the phrase, “survival of the fittest,” the unfortunate fact that nature just isn’t fair. Not everyone gets to eat enough food or drink clean water. Yet, humans have somehow elevated themselves to improve their odds. By creatively working together, humans have not only endured as a species, but have thrived. Case in point, just look around; we have organized ourselves into families, villages, towns, cities, states, nations–all with agreed upon laws and values that we follow as citizens. Obviously this doesn’t always work out–history and current events are riddled with wars, racism, sexism, and cultural revolutions that try to change the course of history for better or worse. Even with numerous ups and downs, we’ve come a long way. Sleeping in trees and caves has evolved into living in the suburban houses and city condos that we know and love today. Foraging for seeds and berries has turned into a world where the majority of the 7+ billion people on Earth have drank a Coca-Cola. Carving animal bones or wooden branches into a flute has evolved into the harmonious triumph of a symphony orchestra. And following herds of migrating animals to new lands has evolved into putting men on the moon, and planning the colonization of Mars. 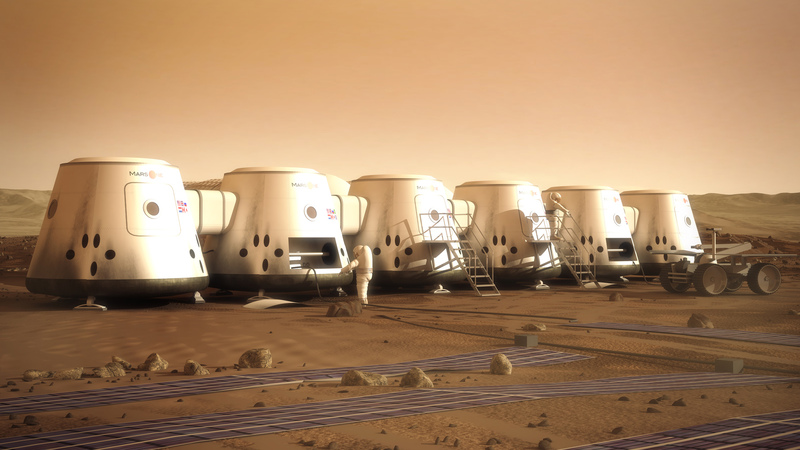 Mars One has a goal of establishing a permanent human settlement on Mars. Crews will depart for their one-way journey to Mars starting in 2026. The moment humans were able to manipulate and control Mother Nature–instead of just making due with what she provided us–the dawn of mankind (and design) was born. The more sophisticated our tools and inventions, the easier our lives became in regards to the fundamentals of survival. More free time became available, thus humans were able to focus more on just purely living to see the next day. Instead of worrying about the next meal or trying to stay warm, humans were able to put their efforts towards more leisurely activities. Secondary elements of humanity came to fruition. Ornamentation and aesthetic qualities could be considered; and the ideas of art, music and fashion began to take shape. A quick Google search for design will provide you with some variation on this definition: purpose, planning, or intention that exists or is thought to exist behind an action, fact, or material object. This implies that even the earliest humans were designers in some form or another when manipulating fire, domesticating animals and planting seeds. They were solving their basic needs of survival in creative ways. I doubt many people back then were thinking about much more than just the act of making a fire–the hypnotic and warm flames were beauty enough. But around the turn of the 20th Century, people like William Morris and John Ruskin began talking about craftsmanship, decoration and beauty in regards to being a driver of economic and social reform. In essence, design-related activities could be intellectually discussed by building a school of thought around their existence and purpose. This led to the notable Bauhaus school in Germany, that arguably was one of modern design’s biggest influencers–advancing many areas such as architecture, graphic design, typography and interior design. Bruno Munari, a famous 20th Century Italian artist and designer stated that “a designer is a planner with an aesthetic sense.” These moments all mark a shift in thinking that begins to define design as something real, something that warrants a definition. Design today has now become a term people are not only conciously aware of, but actually part of an ever-growing field of highly-skilled professionals working in all fields of business and the arts. In fact, CCOs (Chief Creative Officers) now have a seat at the executive table in many progressive businesses. In regards to Munari’s definition, humans have now solved most of the fundemental needs of the species, so design can turn its focus on improving and inventing new ways to improve life, some of which can focus on elements of beauty and form. The experience we have using an object, or experiencing an action, has a quality associated with it that goes beyond just the function itself. That quality belongs to an intelligent species that has learned to enjoy the world in inventive, man-made ways. Dabbawala is a person in India who is part of a delivery system that collects hot food in lunch boxes from the residences of workers in the late morning, delivers the lunches to the workplace. 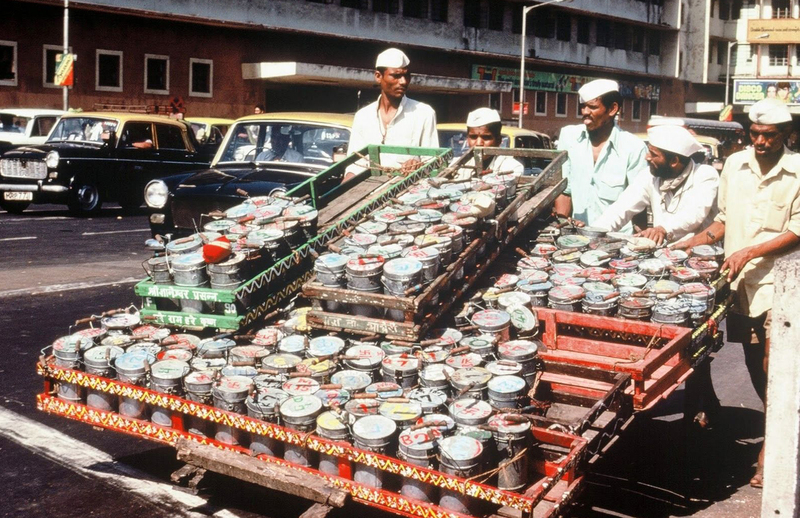 Between 175,000 and 200,000 lunch boxes are moved each day by a dabbawala, who are estimated to make less than one mistake in every six million deliveries. Our current civilization has advanced so far that anyone with a smartphone has all of the information ever known to mankind literally at his or her fingertips. We can share ideas and start a Twitter Revolution that topples governments. Soon you won’t even have to pay millions of dollars to experience other worlds. With the advancements in virtual reality, you can have experiences that are almost as good as the real thing. Along with the advancements of technology and processes to improve society and make our lives easier, “non-designers” have also proved to be innovative creators. In a more unintentional, secondary way, people have taken it upon themselves to improve areas in their own lives. There are dozens of examples found all around us–in fact, you are probably participating in a few of these processes yourself without consciously thinking about it. If you’ve ever used a frozen bag of peas as an ice pack, stored your pens in a coffee mug, or opened a bottle of beer with basically anything other than a bottle opener, then consider yourself a design wizard! However it would be inconsiderate of me to make such a positive claim about humanity’s achievements without acknowledging the fact that even the fundamental aspects of life are not readily accessible to everyone. Even though mankind has advanced dramatically, it has not been an equal rise. In fact, a staggering 90% of the world’s population doesn’t have access to nutritious food, basic sanitation or clean drinking water. Shockingly, even a significant proportion of citizens in the United States understand the realities of this issue. Although we’ve tried to out-smart Mother Nature, “survival of the fittest” is still a very relevant and sobering term. Visible division between rich and poor neighborhoods in Sao Paulo. To our own defense, people have become much more aware of the effects our actions have had on society and the planet as a whole. Design for the 90% has become a movement within the design community to improve the lives of those in need. Items like the Life Straw, the Hippo Roller, repurposed school bags and the Las Torres affordable housing units in Mexico are just a few examples. As technology advances, knowledge grows, and needs change, we are becoming aware of the effects our design decisions cause. We constantly need to rethink and fix problems that we’ve created ourselves that not only put our own species at risk, but that of all living organisms on Earth. Climate change, overfishing and nuclear power are three that come to mind quickly. And we’re already addressing these in exciting and inventive ways. How about fossil fuel electricity with zero pollution? Or “all-weather” solar cells that generate electricity come rain or shine? It’s exciting to live in a time period when anything seems possible. We are at our best when we keep pushing not only imagination forward, but society itself. And it’s the process of design that makes it all possible. I’ll end on a fun, optimistic link: Magic Leap. Wow!